Leverage the Science and Art of Yoga to enhance your effectiveness! 21 June 2018 marked the 4th International Day of Yoga (IDY). Going by social media and news paper coverage, it seemed like millions of people across India, and the world practised Yoga on this day…In the words of our Prime Minister, Narendra Modi, “Yoga is the largest mass movement for good health and well-being. 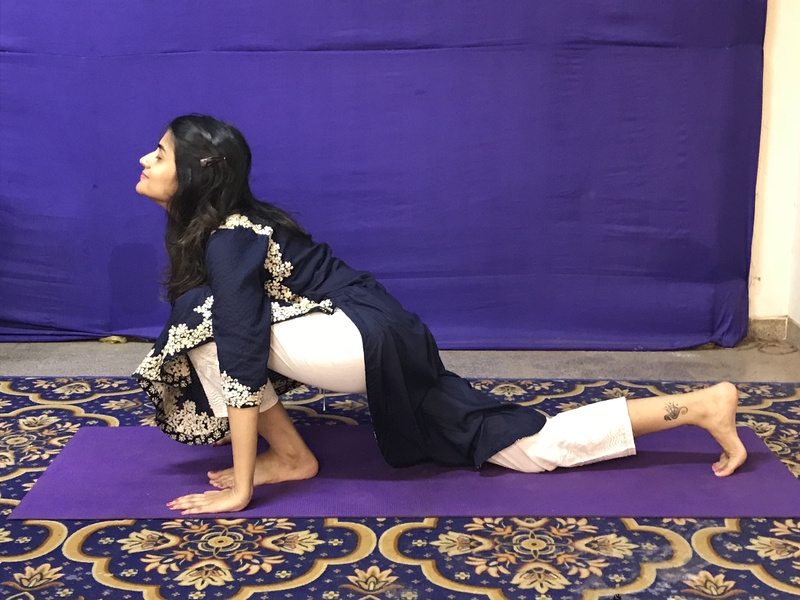 From Dehradun to Dublin, Shanghai to Chicago, and Jakarta to Johannesburg, Yoga is now everywhere.” Being a Yoga enthusiast and teacher myself, I was following Yoga day celebrations across the world. While I saw a large number of posts on Facebook, Instagram, and Twitter, my LinkedIn search had relatively few posts about IDY… I wondered why? Is it because the scale of celebrations across organizations was relatively lower… or leaders/employees didn’t find it ‘relevant’ to express the impact Yoga has had on them? – Despite all the evidence from research that Yoga is the most holistic way to navigate the stress of this VUCA world, to achieve success, maximize efficiency, and enhance well-being! Being from a Psychology background, I recognize that self-awareness and self-management can help leaders enhance their effectiveness. However, through my training to be a Yoga teacher, I realized just how beautifully the Science and Art of Yoga complements Psychology! The deeper our rest, the more dynamic our activity (Passion and Dispassion) – IMPROVES RESILIENCE! The ability to pursue goals with a hawk like determination is critical. It is imperative to have the passion to overcome obstacles, and achieve success. Along with this passion for success, Yoga Philosophy also brings out the importance of ‘dispassion’ (aka Vairagya in Jnana Yoga), or ‘letting go’ once one has put in all the effort. Only when one has been able to ‘let go’, is when one can take deep rest. Meditation, mindfulness, and taking the breaks/pauses are means to this deep rest. Moreover, Vairagya or Dispassion is a mental state…There may be days when ‘rest’ in the form of sleep is lesser, however, developing the ability to be dispassionate (along with and despite our passion) is when we can combine deep rest with dynamic activity! Why is this important to success? – Dispassion helps us develop the much needed resilience to face favourable and non-favourable outcomes. It also brings the higher realization of, “I am not my success, and I am not my failure” – such that, one always feels energized and enthused when pursuing goals. Doing so allows us to put our best foot forward day after day because we are not bogged down by the negative emotions brought by disappointments, or distracted by the feelings of superiority brought by success. Dispassion brings a sense of calm and mindfulness, which is also contagious when we interact with teams, peers, clients, and other stakeholders! 2. The value of discipline (Tapas) – ENHANCES PRODUCTIVITY! Tapas, as described in Ashtang Yoga (the 8-limbed path), is about living a disciplined life. Tap, which means “to burn” is about an intense, fire like discipline with us. Through continued practice of Yoga and Meditation, I have made many life style changes (related to my food, sleep, alcohol consumption etc.). To some, this may seem as deprivation, however, once this Tapas (or discipline) of lifestyle is practised everyday, it is nourishing and beneficial. By making changes in one’s lifestyle, behaviour begins to transform. This discipline can spill over to everything we do at work – from planning time, to meeting deadlines, to being conscious of our interactions and impact on others. Tapas builds will power and personal strength to help us overcome obstacles. When all of this comes together, the result is – OUR PRODCTIVITY GOES UP! 3. Purpose, altruism, and organizational citizenship (Karma Yoga) – DRIVES COLLABORATION AND ENGAGEMENT! Imagine how much this can improve COLLABORATION – an area that so many of us struggle with! In a world where everyone always wants ‘credit’ (even when it isn’t due), applying some of the above principles will stand out. In fact, recent research published in the Indian Journal of Psychiatry, has brought out that practice of Karma Yoga principles helps us maintain a state of ‘Flow’, which is also described as being ‘in the zone’ in Positive Psychology. Finally, helping others, and giving up on worrying about outcomes, increases serotonin (well-being hormone), and reduces cortisol (stress hormone), which automatically makes us feel peaceful, and calm! This simple practice of Karma Yoga can help us collaborate better, enhance our focus & concentration (Flow), and reduce stress! – Isn’t that amazing? 4. The power of Intuition – EFFECTIVE DECISION MAKING! Intuition is the idea that we make decisions without deliberate analytical thought. It is getting the ‘right’ thought at the ‘right’ moment. Many ascribe to this as a sixth sense, that is honed through mindfulness. Whether is at University, or in B-School, we are all trained to apply logical, left-brained thinking (and rightly so!). However, intuition plays an essential role for decision-making in rapidly changing environments; if there are contradictions in data; ambiguity due to lack of data; or decisions that center on people (hiring, firing, or political decisions). Leveraging our intuition doesn’t mean letting go of the left-brain logical approach; it only means combining both sides of the brain for effective decision making. Regular practice of Meditation brings a sense of tranquility, that activates our Parasympathetic Nervous System (‘rest and digest’). It also helps activate our Hypothalamus, and Pituitary gland (pea shaped in the center of the brain), such that, we learn to listen to our latent inner voice. We all are blessed with the gift of intuition, however, everyday activity and stress, clouds this intuition. ALL RESEARCH has found that the best and easiest way to enhance our intuition is regular meditation. All it takes is 15 minutes a day of doing ‘nothing’ to help make better decisions! If I had to sum it up in one line – Yoga is much more what we do ‘off the mat’, than ‘on the mat’. An Organizational Psychologist, I have worked in Talent Management and Organizational Development consulting for close to 5 years. My experience spans across three countries, and diverse industries. Through my work in the area of workplace personality assessments and leadership consulting, I developed a keen interest in ‘holistic’ individual development through a complete ‘wellness’ approach. Given this realization, and the need for both individuals and organizations to seek total well-being, I have now launched a holistic well-being focused practice – which includes a combination of techniques grounded in Social Psychology, Cognitive Behavioural Therapy, Yoga, Mindfulness and Nutrition/Lifestyle. I am a certified Health & Wellness coach, via a ICHWC (International Consortium of Health & Wellness Coaching) approved program. My purpose is to make a positive impact on the wellbeing of people – be it in their personal space or occupational/professional space, by enabling them to achieve lasting lifestyle and behavioural changes.